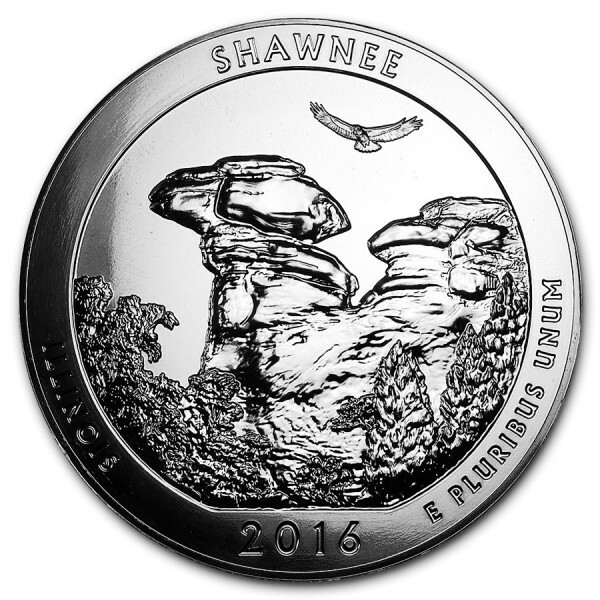 This handsome 5oz 999 silver coin is the first release in 2016 of the popular America the Beautiful series by the US Mint. 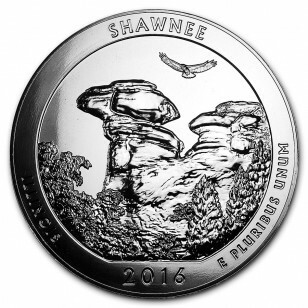 The Shawnee National Forest coin celebrates the natural beauty of Illinois. 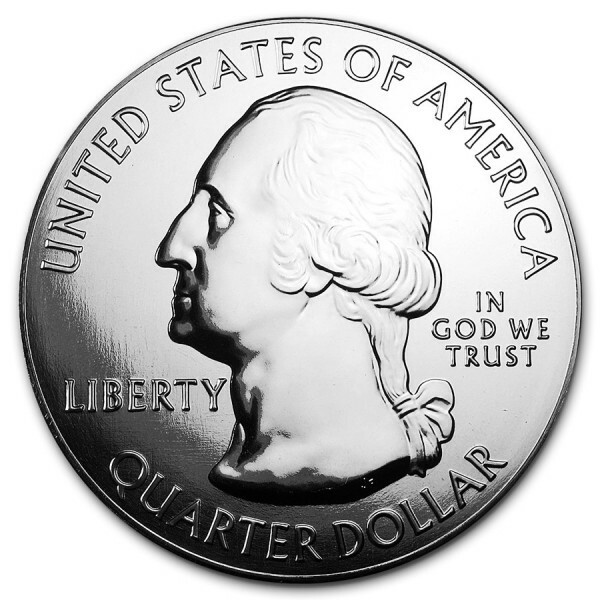 The obverse of the coin has the Quarter Dollar design which was first struck in 1932 and portraits George Washington design by John Flanagan. The reverse of the coin portraits a close-up view of Camel Rock with a red-tailed hawk soaring above.